Our Connecting With Spirit Program allows you to know yourself more than just knowing your body, or your thoughts and feelings. The self we must know is our immortal Spirit, something indescribable but real, that exists on a far higher level. Connecting with your Spirit steps up your rate of vibration, while your thoughts vibrate more rapidly, productively and positively. Connecting With Spirit is a mystical quest uniting you with your Spirit, creating new love, peace, joy, and creative power in your life. Desire – When you come to a point in your life when you want and need greater harmony and love, you are intuitively sensing a calling from your Spirit. It is time to connect with it. Direction – Your Spirit is of Divine nature and the highest vibration within you. It can only reveal itself to you when your mind is calm and your heart is pure. Thoughts and feelings of sadness, pain, grief, anger, worry, anxiety, helplessness, and emotional numbing all block the natural and creative processes of your whole being. 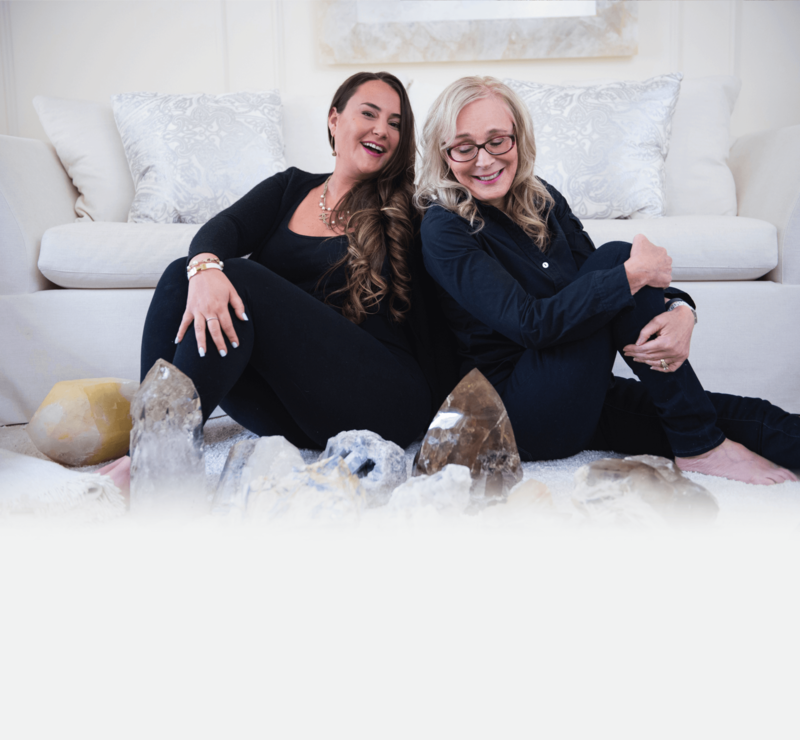 Connecting With Spirit is a program through which you connect with your Spirit, strengthening your spiritual abilities while beginning to transform your life. Through personal experiences, you are able to experience the reality and loving power of your Spirit. Purpose – Your own Spirit cleanses, purifies, and transforms the structure and quality of your thoughts and feelings, releasing all that has blocked your true and unstoppable self. Inner Sanctuary Training is life training. What you learn here will become a foundation from which you can build and design the life you want to live. The Inner Sanctuary Training establishes the sacred space within, where you can go to receive spiritual insight and answers to your questions, release negative thoughts and feelings, restore balance and vitality, manifest your creative ideas, and strengthen your sense of purpose. Your sacred work in the Inner sanctuary continually brings greater light, love, wisdom and peace into your life and your world. Inner Sanctuary Training is Inspiring, Life Transforming, and Enlightening. These scans will chart your imbalances and misalignments, while focusing on your strengths and abilities. This scan gives you a clearer vision of what is blocking your progress and what you can do to accomplish your goals. We spend the day working with Enneagrams, which will help identify and understand your personality type, while learning how to work with them. Within each of us, awaits two energies that need to be healed and reunited. These two energies are your Inner child, which rules your emotions in your Spleen Chakra, and your Adult self, which rules your thoughts in your Solar Plexus. These two energies are constantly at odds with each other. Your emotions are filled with unmet needs and desires that rarely bring fulfillment, while your thoughts are being ruled by the need to control these feelings with a sense of great futility. The Yandhi process heals the Inner Child and Inner Adult, creating an inner alchemy that balances thoughts and feelings, healing your past, and creating a healthy balance between the two. These two separate aspects of yourself will learn how to work harmoniously together, instead of constantly being at odds. This is an excellent therapeutic tool for those who feel out of touch with their feelings; as if their emotions and mind are in conflict. Light Energization is a unique systematic energy initiation that invokes higher spiritual frequencies and radiations of light from the cosmic realms to embrace, align, and modulate the spiritual, astral, and etheric bodies. The initiation expands the atoms molecules, and cellular composition to assimilate and sustain sacred geometric vibrations that open spiritual gateways to other dimensions and higher levels of consciousness. In this unique and sacred process, you will awaken and draw kundalini energy up the chakras to awaken the higher energy centers and open your psychic vision. Light Energization is for those who desire a spiritual awakening. You will be able to expand your psychic vision, increase your connection with your guides and teachers, balance male and female energies, and find inner peace and harmony. In this final step, we will review and integrate all of your new awarenesses and insights learned through the various aspects of the program. We will spend time creating a new Life Plan that will ensure your life goes in the direction you desire. – Become a new, stronger, directive, and purposeful you!